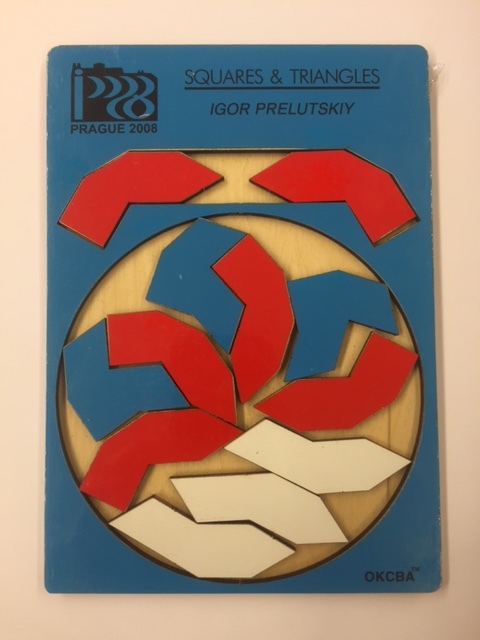 IPP Prague 2008 exchange puzzle by Igor prelutskiy. 1. Put together into the frame. 2. Take 3 pieces of one colour and assemble them into a regular hexagon+regular dodecagon figure. 3. Take 2 pieces of another colour and assemble them into figures with two lines of symmetry.